The Schuyler R-1 Greenhouse is standing and ready for numerous educational opportunities for students district wide. This structure is not only for the high school Agriculture department but all students Preschool through 12th grade. 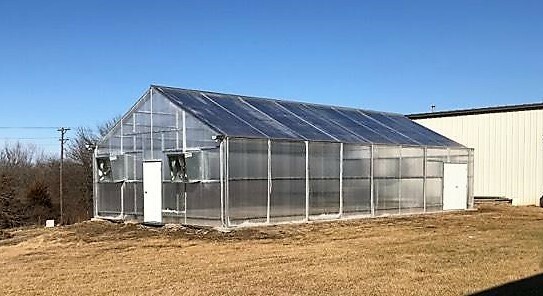 This has been a project that started with a Monsanto America’s Farmers Grow Rural Education Grant of $10,000 awarded to the Schuyler R-1 Agriculture Department and school district for the purchase of a 12’x16’ (192 square feet) greenhouse in August of 2015 written by Trenton Tallman. 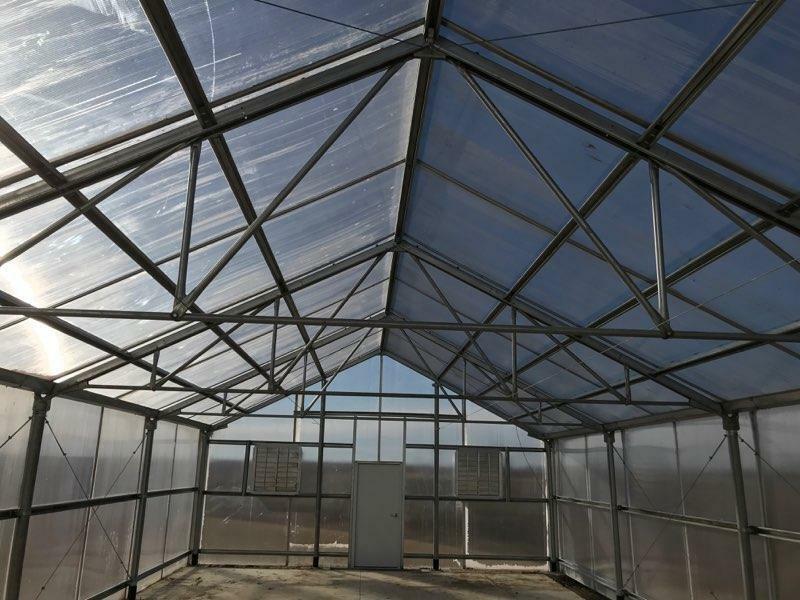 In September of 2015, with assistance from the Missouri Department of Elementary and Secondary Education vocational grants and Schuyler R-1 Superintendent, Mr. Robert Amen, matching funds were able to be secured to increase the size of the greenhouse to 24’x40’ (960 square feet) and include tables, heating units and cooling fans with a total of approximately $24,000 being spent on the materials for the structure. The greenhouse was delivered in April of 2016 and dirt work to prepare the pad for the greenhouse began in May of 2016. With the help of Rodney Cooper, Jace Cooper and Lane Engle the construction site was leveled, packed and ready for construction after the soil had settled due to soil being added to the location. Cooper Construction completed their work in June of 2016. Funds were raised through the annual FFA fruit sales with a portion designated to help purchase the materials needed for the concrete pad and labor in setting the pad. In the spring of 2017 quotes were taken for the purchase of the concrete to place a concrete pad under the greenhouse, gravel for a base and labor expenses. Thanks to the donations from Kirksville Ready-Mix of half of the concrete, Glenwood Elevator for half of the gravel and Jason Whitlow for half of the labor to construct the pad, the Schuyler R-1 FFA Chapter spent approximately $2400. Concrete work, truss construction and pole brackets were completed in June of 2017. Funding for the completion of the greenhouse project totaling $4400 was approved by the Schuyler R-1 School Board as presented by Mr. Amen. In February 2018, structure construction was completed by Corey Randall and the tables were put in place for the spring growing season. Mr. Hanes and his Greenhouse class will be the first to utilizes this new facility that is a great addition for the entire school district. Several students, community members and the Schuyler R-1 Administrative team deserve a special thanks to complete this project. Lancaster Lumber and WD 63 Pipe and Steel were also contributors of supplies and materials for the completion of this project.